Oriental 453 Free & Accepted Masons, Knoxville, Tennessee, USA: "Mustafa Kemal Atatürk (1881–1938), National hero and founder of the modern Republic of Turkey." Grandview Masonic Lodge, Grandview, Texas, USA: "Mustafa Kemal Atatürk (1881–1938), National hero and founder of the modern Republic of Turkey. Macedonia Risorta Lodge No. 80 (some claim Lodge Veritas), Thessaloniki"
Discovery Lodge No. 149 Ancient Free & Accepted Masons, Campbell River, British Columbia, Canada: "Mustafa Kemal Atatürk National hero and founder of the modern Republic of Turkey. Macedonia Risorta Lodge No. 80 (some claim Lodge Veritas), Thessaloniki"
Kootenai Masonic Lodge No. 24 A.F. & A.M. Idaho, USA: "Mustafa Kemal Atatürk (1881–1938), National hero and founder of the modern Republic of Turkey. Macedonia Risorta Lodge No. 80 (some claim Lodge Veritas), Thessaloniki"
The Grand Lodge of Ancient Free & Accepted Masons of Minnesota, USA: "Mustafa Kemal Atatürk (19 May 1881–10 November 1938) National hero and founder of the modern Republic of Turkey. Macedonia Risorta Lodge No. 80, Thessaloniki. A Turkish army officer, revolutionary statesman, and founder of the Republic of Turkey as well as its first President." XIX Martyrs Lodge No. 342 - Free and Accepted Masons of the Philippines: "Mustafa Kemal Ataturk National hero and founder of the modern Republic of Turkey. Macedonia Risorta Lodge No. 80 (some claim Lodge Veritas), Thessaloniki"
Victoria Lodge - Freemasonry Masonic Lodge in Toronto, Ontario, Canada Masonic Lodge in Toronto West: "Mustafa Kemal Atatürk National hero and founder of the modern Republic of Turkey. Macedonia Risorta Lodge No. 80 (some claim Lodge Veritas), Thessaloniki (Debated – According to Turkish journalist, Can Dundar, Atatürk had never been a Mason.)" Palestine Lodge#189 AF&AM - Catonsville, MD: "The activities of the Grand Lodge of Turkey reached a climax during the Presidency of Mustafa Kemal Ataturk (1923-1938). Ataturk, a reformer, soldier, advocate of women’s rights, and the founder of the Turkish republic, was initiated in 1907 into Lodge Veritas - warranted by the French Grand Orient - in Salonica. When he landed at Samsun on 19 May 1919 to begin the struggle of independence, six out of his seven highranking military staff officers were Freemasons. During his time of rule there were always some members of his Cabinet who were Freemasons, indeed, from 1923 to 1938 some sixty Members of Parliament were members of the Craft." Lodge St Patrick No. 468 Irish Constitution in New Zealand: Atatürk, Mustafa Kemal (1881-1938) – An army officer, revolutionary, statesman and writer, Kemal Atatürk is the national hero and founder of the modern Republic of Turkey. He was also the first Turkish president. Kemal fought at Gallipoli against the Australian and New Zealand (ANZAC) Forces. He revolutionised and transformed the former Ottoman Empire into a modern and secular nation-state. He was a member of Macedonia Risorta Lodge No.80 in Thessaloniki. Culver City Foshay Lodge № 467: Mustafa Kemal Atatürk National hero and founder of the modern Republic of Turkey. Macedonia Risorta Lodge No. 80 (some claim Lodge Veritas), Thessaloniki. ETOSHA LODGE 7148 EC: Mustafa Kemal Atatürk (1881-1938) founder of modern Turkey was a member of Lodge "Mecedonia Resorta Veritas". Masonic Book Reviews and Authors | Freemasonry Research | Freemasons Sourcebook: Atatürk, Mustafa Kemal - National hero and founder of the modern Republic of Turkey. Freemason in Macedonia Risorta Lodge No. 80 (some claim Lodge Veritas), Thessaloniki. Temecula Catalina Lodge #524 | Brotherly Love, Relief and Truth: Ataturk, Mustafa Kemal - National hero and founder of the modern Republic of Turkey. The Masonic Travelers: Ataturk, Mustafa Kemal - National hero and founder of the modern Republic of Turkey. - Ataturk, Mustapha Kemal. Former President of Turkey 1923-1938. Member of an Italian Lodge, Macedonia Resorta e Veritus. Abbey Lodge No 945: Mustapha Kemal Ataturk - President and 'Father' of modern Turkey. Sons of Liberty Lodge #301 F. & A. M.: Ataturk, Mustafa Kemal - Fundador de la moderna Turkia. Franc-Maconnerie.org: ATATURK, Mustapha Kemal (1881‑1938) Chef des "Jeunes Turcs" et père de la Turquie moderne dont il fut le Président de 1923 jusqu'à sa mort. Il était membre d'une loge italienne, Macedonia Resortae Veritas. Amateur Radio Masons - Masonic Gathering: Ataturk, Mustapha Kemal. Former President of Turkey 1923-1938. Member of an Italian Lodge, Macedonia Resorta e Veritus. 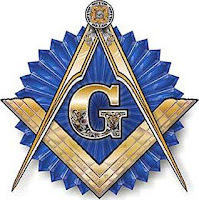 This is partly because the history of freemasonry is such a rich and diverse field that it is very difficult to develop a research programme that does justice to all the aspects of the subject. Just consider the extraordinary range of people who have been freemasons, from authors like Alexander Pope, Edmund Burke, Walter Scott, Robert Burns and Arthur Conan Doyle, and a varied array of statesmen including Washington, Garibaldi, Ataturk and Churchill, to musicians as diverse as Haydn, Sibelius and Duke Ellington, and actors from David Garrick to Peter Sellers. "The Kemalist (Secular) Republic in Turkey is the only Middle East border country with a military alliance with Zionist Israel. They pose a threat to Syria and Iraq over long simmering border disputes. Dictator Mustafa Kemal Ataturk was a secret Jewish infiltrator! This explains the alliance between the Mustafa Kemal-influenced military regime which controls Turkey and the fraudulent and criminal state of Israel! This also explains the opposition of the kemalist junta against the renaissance of Islam amongst the Muslim people of Turkey! About the Jewish dictator Mustafa Kemal: visit the Jewish home page Famous Jews."